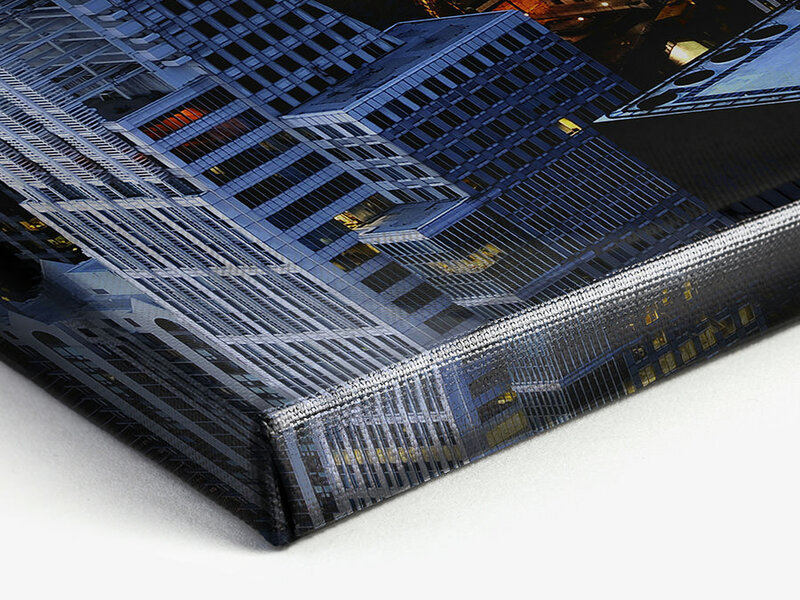 Your photo print with the classic canvas texture appears very natural thanks to its materiality. 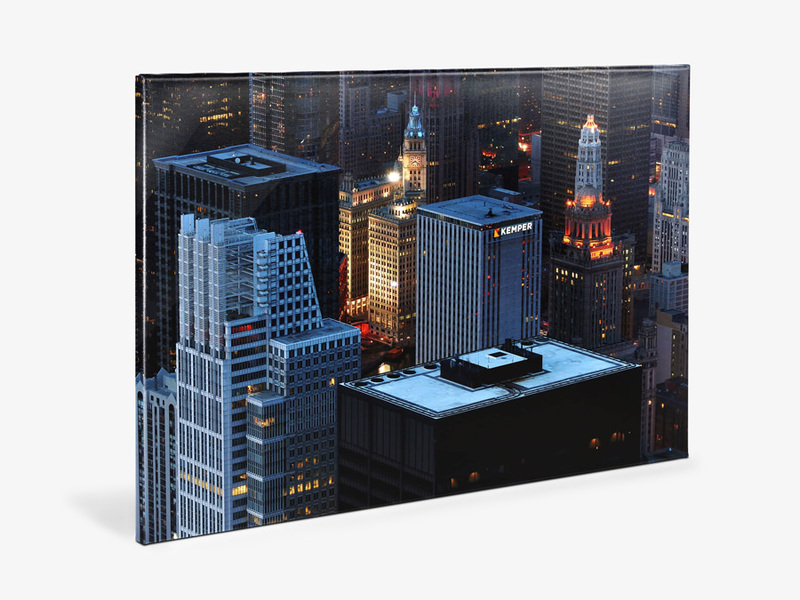 The glossy surface lends your canvas print a special luminosity and vividness. 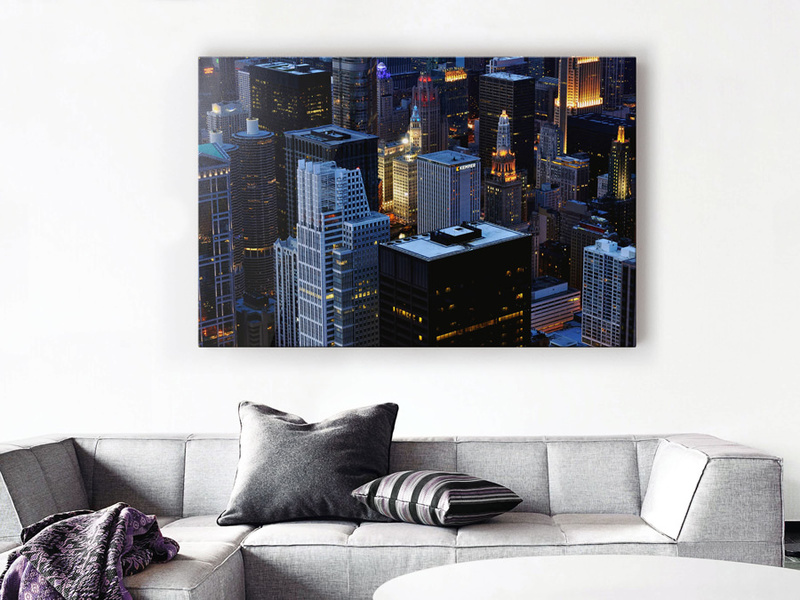 Create your canvas wall art with the photo of your choice. The glossy look is especially suited to images with lots of contrast and rich colours. 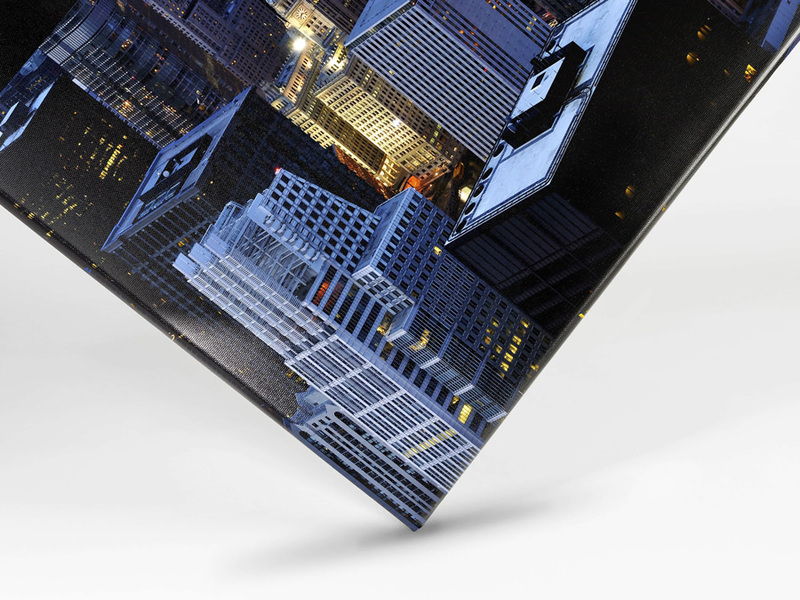 Your glossy photo canvas stands out through its rich colours; deep, dark tones; and strong contrasts - all thanks to digital latex printing. The high resolution and precise hues give your canvas picture a detailed appearance. The colours on the printed canvas do not run and are therefore very durable. We wrap your glossy canvas on a high-quality stretcher frame made out of sustainably sourced spruce. There are three depths to choose from: our standard 2 cm, 4 cm for a slightly sculptural appearance, or 6 cm for a distinctly sculptural look. We recommend that, the larger you want your glossy photo canvas to be, the deeper your stretcher frame should be. To create canvas wall décor with the edges of the image classically wrapped, you need a photo with a generous amount of space at the sides. When the edges of the photo are wrapped around the stretcher frame, 3 - 5 cm of the image (depending on the depth of the stretcher frame) will no longer be visible from the front. In this case, the outer edges of your image simply flow around the sides of the canvas. If you prefer to have your entire image visible from the front, select the mirrored edges option. For this, we print additional mirrored edges of your image proportional to the depth of the stretcher frame: 3 cm, 5 cm, or 7 cm. This way, your photo on glossy canvas can be presented in its entirety.